A man’s personal grooming should not just be limited to shaving or getting a stylish haircut. 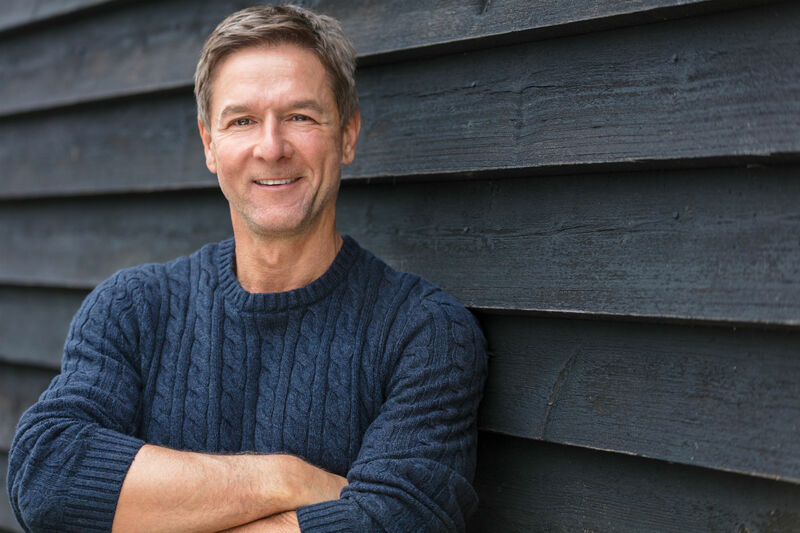 With a number of non-surgical aesthetic options available, men can now have the opportunity to address their body concerns, reverse the signs of aging, or even take years off their appearance. There is no reason to be embarrassed if it is your first time trying any cosmetic procedure. Cutis Laser Clinics in Singapore lists the top aesthetic treatments for men and what you can expect from them. While dermal fillers are commonly used to deal with aging skin, men can use them to achieve a more refreshed, athletic, and chiseled look without going under the knife. They are also ideal for improving eye bags, reducing facial lines, and restoring a naturally curved facial contour with a sharper jawline. These injectable gels are used to “fill in” certain areas of the face that have lost volume due to aging. They aim to provide a natural lift by providing support to the skin and other tissues. Fillers can be injected in the cheeks to soften the nasolabial folds and give you a youthful appearance. They can also add height to the nose, improve its profile, and lift the nose tip. Fillers, furthermore, can restore loss collagen to improve skin’s elasticity. There are different types of fillers out there but the most common type of fillers are those made from hyaluronic acid, a substance naturally present in the body. Another alternative is calcium filler, which is similar to the natural minerals found in the body. In choosing the type of filler, it is important to use those that are FDA approved for safety and effectiveness such as Juvederm and Radiesse. A consultation with our Harvard-trained aesthetic doctor in Singapore, Dr. Sylvia Ramirez, will let you know the right type of fillers for your concern. Botulinum toxin is better known as Botox (or “Bro-tox” for men) is a type of injectable designed to block nerve activity in the muscles, leading to a temporary reduced wrinkles caused by muscle activity. Many men are now considering Botox to reduce wrinkles, smooth forehead lines and soften lines in between the eyebrows to achieve a more youthful look. Wrinkles are not only caused by aging but also doing repeated muscle movements such as smiling, frowning, or squinting. If done often times, will lead to formation of wrinkles. This is where a Botox as an effective treatment for wrinkles comes in. Botox works by temporary blocking the signals from a nerve to a muscle so that wrinkles caused by muscle-contraction relax and softens. These include frown lines, forehead lines, smile lines or even smoker’s lines (lines on top of the lips). It can also be used to correct droopy eyelids, reduce excessive sweating, stop eye twitching, and lessen migraine pain. Don’t be discouraged by the infamous frozen look as Botox can look very natural if injected properly and with the right dosage. The best thing about Botox is that it requires no preparation with zero to minimal downtime. The process of injecting the tiny needles is also not at all painful and can last for a just a few minutes. Just make sure to get the treatment from a qualified professional or an experienced Botox aesthetic doctor. Also, look for a “conservative” aesthetic doctor who will start slow with minimal dosage to provide a natural look. Ultherapy in Singapore is an FDA-cleared and European CE-marked non-invasive face lifting procedure that can effectively lift and address sagging skin caused by aging. This can also be used to improve the appearance of fine lines and wrinkles, and lift the skin on the brow, under the chin, and on the neck. Ultherapy uses time-tested ultrasound energy to get into the deeper layers of the skin to stimulate new collagen formation and give you a naturally lifted appearance. The new collagen replaces the old and damaged ones to improve your skin’s elasticity. The result will be seen after 2-3 months as it takes take for your body to produce new collagen. Over time, you will notice a gradual yet natural lift that will last for at least a year. The treatment can be done yearly to maintain result. This non-invasive procedure is also worth considering if you desire to have a chiseled jawline without resorting to surgery. It can give your chin a more youthful appearance by lifting sagging jawline and neckline, which in return can make you look more attractive. PDO thread lift in Singapore is a minimally-invasive procedure that can ‘immediately’ lift sagging skin with minimal to no downtime. It involves the insertion of polydioxanone (PDO) threads into the deeper layers of the skin to improve sagging areas of the middle and lower face and the neck area. At Cutis Laser Clinics in Singapore, we have the latest addition to thread lift therapy: The 4D and Multi Threads. They work the same way as the previous PDO threads, but offer additional benefits such as improved skin lifting, less treatment time, and more collagen and elastin stimulation. The new PDO threads are thicker and stronger, providing more hold or grip in lifting and tightening the skin. They can also be used as a preventative treatment or in slowing the signs of aging. The best part is you won’t have to go under the knife to lift your sagging skin and have an overall youthful appearance. If you’re struggling with stubborn fat in your abdomen, Cryolipolysis through CoolSculpting and Z Lipo can help you. Cryolipolysis targets subcutaneous fat or the soft and pinchable fat found below the skin. It is a non-invasive procedure of cooling fat cells, with the goal of naturally eliminating them in the body. Exposure to cold temperature causes the fat cells to undergo natural cell death or “apoptosis”. Over time, the fat cells will naturally die and will then be processed as waste in the liver and cleared through the lymphatic system. CoolSculpting is one fat reduction treatment that utilizes Cryolipolysis. It uses controlled cooling delivered through applicators of different sizes to target and kill only fat cells without harming the skin or other tissues. It delivers noticeable fat reduction results on common problems areas in the belly, chin, as well as the chest is often known as pseudogynecomastia. Z Lipo is another fat freezing treatment that uses Cryolipolysis. It involves the use of two applicators with a pulse vacuum suctioning to draw a significant amount of fat bulge in the areas of concern. It is ideal for treating fat bulges in the belly, arms, and thighs. The result of Cryolipolysis takes at least 60-90 days as it takes time for your body to get rid of dead fat cells. According to clinical studies, Cryolipolysis can also be combined with shockwave therapy for better fat reduction results. Unlike CoolSculpting and Z Lipo, Vanquish uses heat via controlled radiofrequency to target and kill fat cells. Heat energy causes the fat cells to die over time, which will then be processed as waste in the liver and cleared through the lymphatic system. This is ideal if you’re looking to lose inches off your waistline without going under the knife. Vanquish’s effectiveness is due to the science of impedance, which refers to the resistance of fat to heat energy compared to other tissues in the body. Higher resistance to heat allows the fat cells to absorb more heat, which helps in triggering ‘apoptosis’ or natural cell death. Vanquish helps eliminate unwanted fat and contour the body without touching the skin. The device used in the procedure hovers over the area of concern using an array of heat to target fall bulges without affecting the skin or muscles. Contact Cutis Laser Clinics today and schedule a consultation with our Harvard-trained aesthetic doctor, Dr. Sylvia Ramirez, to find out which of these procedures is suitable for you.